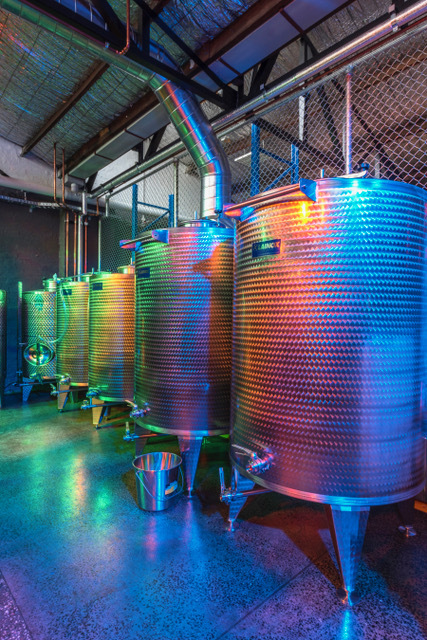 It’s not every day that you have the chance to collaborate with family members to deliver a unique design, especially for their new business venture, a boutique gin distillery. 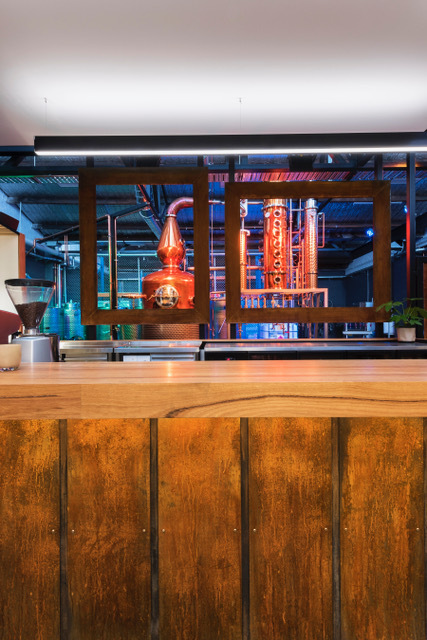 Located on North Street Richmond, in what was a panel beating shop, the only legacy remaining is the overhead gantry that adds to the industrial look of this “gin joint”. Following a total rework of this warehouse style space with its saw-tooth roofs, and the distillery functional process overlaid on the plan, L2D had the freedom to express the materiality of the selected finishes within the design parameters set by the distillery’s father-daughter team, Simon and Brogan Carr. The design enhanced the raw mix of the selected three steels; Mild Steel, Rusted Corten Steel and Stainless Steel, in addition to the natural elements of recycled timber. The collaborative design approach of Brogan’s Way and L2D was in sync and reflects the harmonious exchange of design energy. 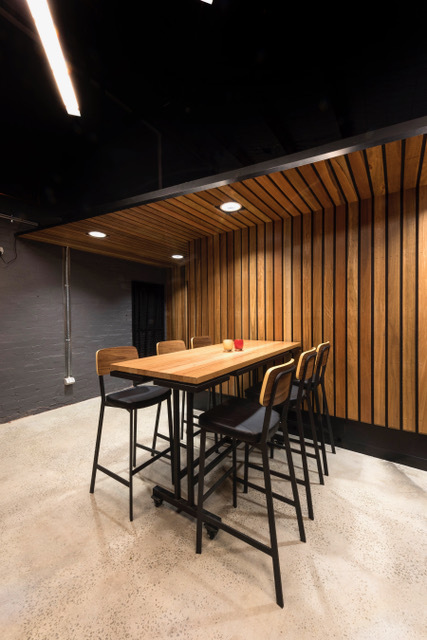 Even including a suspended object d’art, the VCE project of their son and brother, Harrison, who designed and constructed a large format light fitting, which adds an interesting contrast to the industrial LED lighting system. Use of colour changing LED spectra add a variable to the changing natural and synthetic light design within the space. 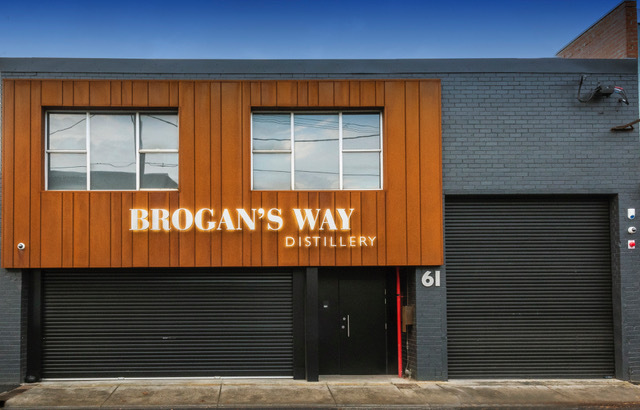 The research and development involved in distilling the botanicals incorporated in the Brogan’s Way secret recipes, is subliminally connected to the nature of L2D’s business, designing high-tech controlled environments and technology specific work places. 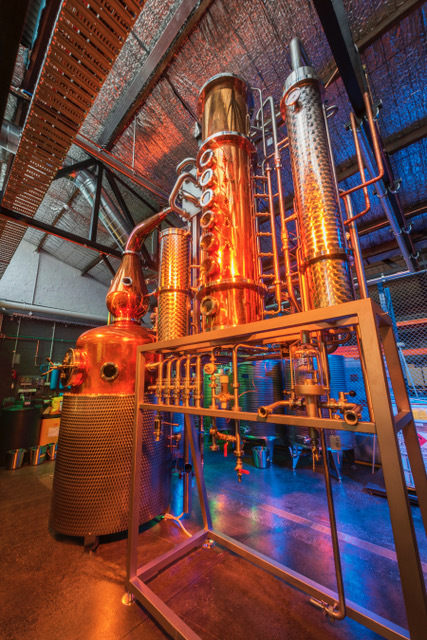 Thus, we like to think of the distillery as L2D’s new boardroom!